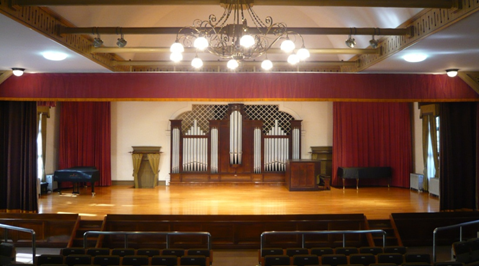 Sogakudo concert hall was built in 1890 as a school building for Tokyo Music School, which is now the Music Department of Tokyo University of the Arts. The hall made a significant contribution to the development of modern music in Japan. 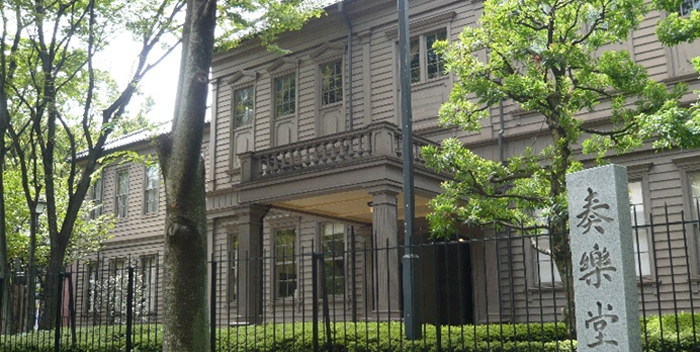 In 1987, the deteriorating building was rebuilt at the present location by Taito City and was designated as an Important Cultural Property by the Japanese government in 1988. Sogakudo is still used as a concert hall and the gallery on the first floor exhibits collections of music documentation. Copyright (C) Taito City Museum Map. All rights reserved.